ONLINE TICKETING HAS NOW CLOSED. TICKETS AVAILABLE AT THE DOOR. The perfect way to kick off the holiday period with this Pre-Xmas Masked Gypsy Party, featuring with Sydney-based band Lolo Lovina. Led by acclaimed Rroma gypsy singer Sarah Bedak (Australia/Hungary) and her Serbian-born Rroma drummer/guitar husband Nenad Radic, Lolo Lovina (‘Red Beer’) provide an intoxicating, cosmopolitan brew, infused with Swing and Balkan Rroma Gypsy beats. Warning: Consumption may cause inebriation! 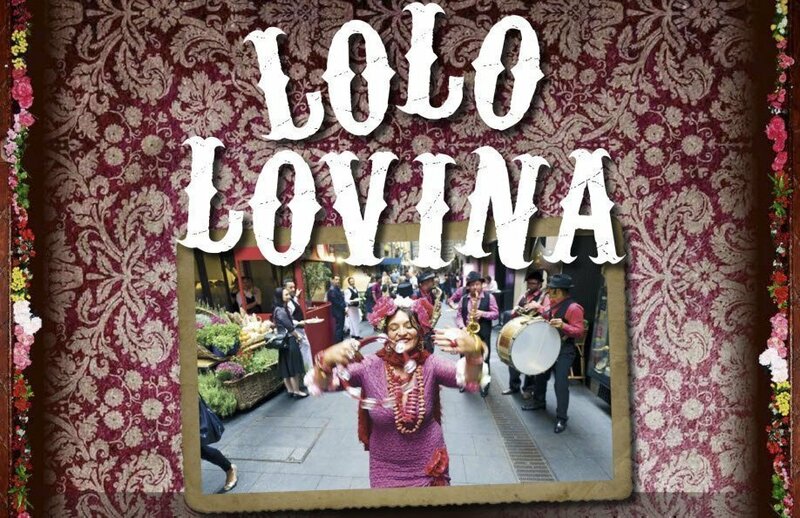 The only ethnic Romani band in Australia, Lolo Lovina also features Stuart Vandegraaff on sax, clarinet and ney, David Carr on guitar and banjo and Nathan Gatt on double bass. The band’s musicianship is the perfect vehicle to highlight Sarah’s identity as an artist who grew up with three native tongues and cultures. Combined, the band’s rollicking, passionate performances are always a unique experience. Having first formed in 2008, Lolo Lovina released their self-titled debut EP that same year, followed by the full 2009 album ‘Baro Love’. They performed at festivals across Australia, including the Bellingen Global Carnival, The National Folk Festival and the Brian Eno-curated Luminous Festival at Sydney’s iconic Opera House. In 2010 Sarah received an Australia Council arts grant to travel and study gypsy music in Serbia, Hungary and France, and in 2012 she met Nenad, who had just arrived in Australia after living in Berlin for 40 years. With a revamped line-up, Lolo Lovina recorded their highly praised 2015 album ‘Rroma Sapien’, which received a 4-star review in the international World music magazine Songlines (UK), and was featured on ABC Radio National’s The Planet. Their brand new 2016 release ‘Rromantics’ has just been launched, with the band’s first-ever European tour including dates in Germany, Slovakia, Hungary, Serbia, Bosnia-Herzagovina and Spain, with Aussie launches in Sydney, Melbourne, Katoomba and Bellingen! Musical guests on the night will be an exciting one-off performance from the specially-formed Le Hot Club de Bellingen, led by guitarist Paul Bulyani and violinist Retaw Boyce. They’ll be playing the gypsy-inspired manouche style made popular by Romani guitarist Django Reinhardt in the 1930s/40s. Fun-loving locals are invited to get into the holiday spirit by dressing up outrageously for the evening, and there will be prizes for the best masked outfits!